Pumpkin patches are a dime a dozen in the Sacramento Valley, but only a handful are truly thrilling. What once was simply an opportunity to go pick out that perfect gourd has become everything short of a full-fledged amusement park with hayrides, corn mazes, games and petting zoos. Looking for something outstanding to take your kids to this October? 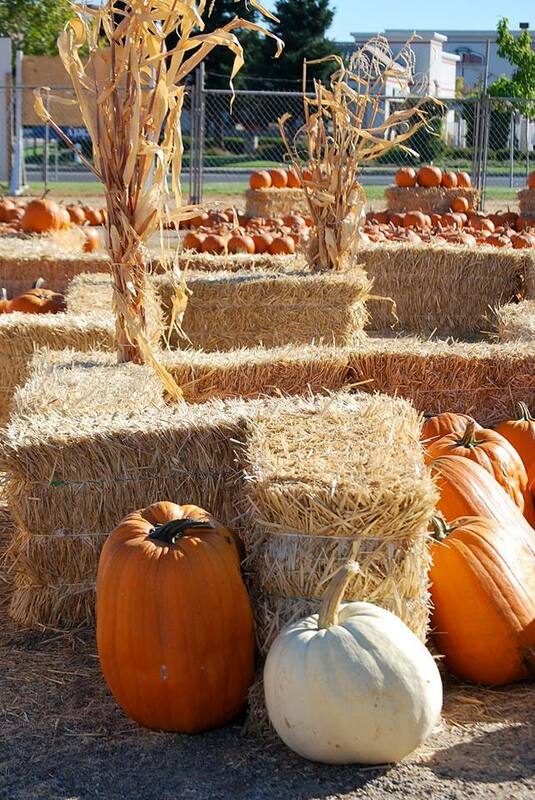 These top pumpkin patches in Sacramento are found all over the region, meaning there is likely one within driving distance for your family. The Pumpkin Farm has been hosting Halloween and harvests fun for over four decades. They have 16 acres and over 100 tons of pumpkins to choose onsite. They also sell Indian corn, miniature pumpkins, and straw bales. The Pumpkin Farm also brings a bit of Apple Hill down more locally with its weekend food stands to feature barbecue grill items, drinks, pumpkin, and apple pies. Open October 1–31 but closed on Mondays. Attractions include the Haunted Barn, Farm Zoo, Hayrides, Jumping Castle bounce house, Tower Slides, Corn Maze, 8-car train and Go-Kart Train Rides. Entry is free except on the third and fourth weekends when there is a parking fee per car. Each autumn, Vierra Farms in West Sacramento transforms into Dave’s Pumpkin Patch and hosts a Cornival, complete with a corn maze. As a working family farm, kids can not only pick out an awesome future Jack-o-Lantern but learn about life off the land. Dave’s is famous locally for its hourly weekend “pumpkin chunkin” where gourds are launched through a special cannon. Fee: Yes, but it is reasonable. Dave’s offers more attractions than anyone else in the region, so it is still a great deal. Attractions: Goats, Pumpkin Princess Castle, the Jumping Pillow, pony rides, kiddie hay maze, gold mining, corn box, pig races. This sweet little patch is located in Roseville and contributes a portion of its proceeds each year to various non-profit organizations. Branco Farms features plenty to do including face painting, bounce houses, and even laser tag. This pumpkin patch in Placer County opens a bit later than most (October 6) but is well worth the visit. Admission and parking are always free, and all activities very affordable. Please note some amusements are only available on weekends. Attractions: Kids’ haunted maze, face painting, jump houses, arts and crafts demo, picturesque locations for family photos, laser tag. Zittel Farms is the last agricultural farm standing in Folsom and welcomes guests year-round to purchase local produce. In the winter they transform into a Christmas tree farm and every autumn they host a modest pumpkin patch great for all ages. This is the place to go if you want to start a family tradition that truly goes back to basics with simple amusements and plenty of room to play. You also will be supporting the efforts of Roger and Gail Zittel, who have owned the farm since 1976. Practically free. Weekend events are available for a small fee. Attractions: petting zoo, hay rides, pony rides, farm animal visits, corn maze and a children’s play area geared especially toward preschoolers. Bobby Dazzler’s pumpkin patch has a fun college-town flair to it that’s great for all ages. Their highlights include the Milo Maze—a corn maze five feet in height and two acres in size. More adults than kids have been known to get lost inside. They also have a great variety of pumpkins and a weekend barbecue stand. Snacks, water, and soda are available daily. Fees: There is no charge for entry or parking. There is a charge for the petting zoo, corn maze, and some activities. Attractions: petting zoo, pumpkin painting, face painting, hair tinsel, temporary tattoos, various contests.